When it comes to estate planning, most immediately think about planning for their death first. However, approximately 30% of Americans will become disabled or incompetent at some time during their lifetime. A Will only becomes effective at your death – not if you are disabled. Since life expectancy continues to rise, the likelihood of incapacity or disability also grows. As a result, financial powers of attorney (which usually gives someone else the authority to handle your financial matters in addition to you) are an inexpensive alternative to the costly and time-consuming guardianship process whereby the court choses who can handle your assets (often requiring court authority to act and an annual accounting). Right to Delegate. If your agent is out of town and you are incompetent, do you trust your agent to delegate to someone else some or all of the authority you granted your agent to take care of your financial matters? If so, you may grant the agent the authority to delegate. Right to Create Trusts. 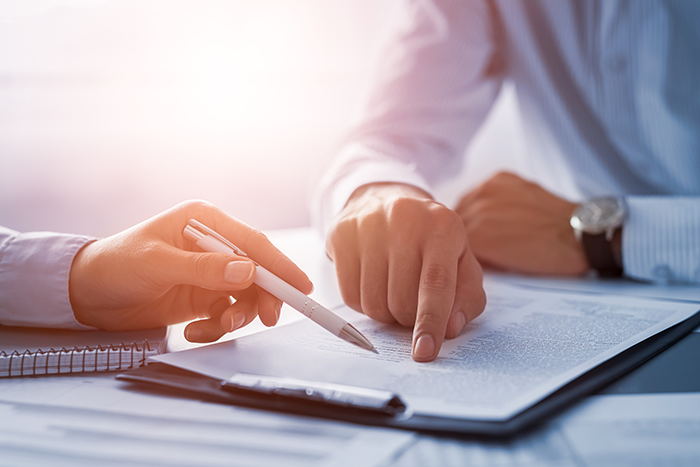 There are numerous types of trusts that could be helpful in a variety of situations (i.e., special needs trusts, trusts in connection with planning for public benefits, asset protection trusts, life insurance trusts, revocable living trusts, etc.). An agent normally would have no authority to create and fund a trust without authority specifically granted. The Texas Estates Code permits the right to create, amend, revoke or terminate an inter vivos trust if there is specific language in the power of attorney. Right to Make a Gift. The power to make gifts (including gifts to a trust, an account under the Texas Uniform Transfers to Minors Act or similar law in other states, and a qualified tuition program of any state under IRS Section 529) must also be specifically authorized in the power of attorney. This is particularly important for public benefits planning since many programs to help pay for care (i.e., nursing care, assisted living and home care) or medications are “means-tested”. So, although many public benefits have a “look-back” period, there are often strategies that can be utilized to preserve resources. Thus, if planning for public benefits is an issue, often “unlimited gifting” (not just the annual exclusion amount of $15,000 per year, per donee which has no correlation with public benefits planning) is added to the statutory language. Of course, the agent must be trustworthy. Normally, if an agent exceeds the authority granted by the principal in gifting, it could be a criminal act. Create or Change Rights of Survivorship. Many accounts or other assets have rights of survivorship. An agent cannot create or change such survivorship right without proper authority in the power of attorney granted by the principal. Authority to Create or Change Certain Beneficiary Designations. Similar to 4 above, unless specifically granted, an agent cannot change a beneficiary designation under an account, contract (such as an insurance or annuity contract), a retirement plan, an employment agreement, or enter into or change a P.O.D. (paid on death) account or a trust account. There are various reasons why these rights may be desired ranging from preventing loss of public benefits, disability of the beneficiary, creditor problems of the beneficiary, etc. Springing or Immediate Authority. Most people might assume that their agent’s power to act would only “spring” upon the principal’s incapacity. However, since it is often difficult to determine when the principal is incompetent, usually it is best to grant immediate authority to the agent (of course, the principal could still act), assuming the principal trusts the agent. Joint Agents. Although it is possible to name more than one agent, this often leads to conflict. If joint agents are chosen, the option of having the agents act independently (and not jointly) should probably be chosen.